Anna studied theatre in Paris where she performed in both classical and contemporary plays. Her directing career began after this, with comedia dell’arte plays and Anglophone theatre. In addition, she worked as a story-teller at the Musée du Quai Branly in Paris, performed in radio plays, and made documentaries about life in Lebanon. Whilst directing, she also worked as a drama teacher at the Conservatoire National Supérieur de Musique. Since her arrival in Australia, she has been eager to share her multicultural experiences, directing non Australian plays and running drama workshops for adults and students in English, French and Arabic. She still works overseas as an actor and has recently toured the USA with The Lesson by Ionesco. 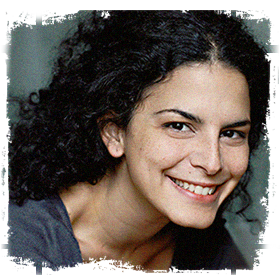 After focusing on Canadian, Lebanese and Spanish theatre in the last couple of years, Anna was very excited to direct French play Exit The King by Ionesco in March. She is now working on a Mexican play, Frida Kahlo: Viva La Vida by Humberto Robles. The play opens at the Old 505 Theatre on 23 April 2019.